My wife and I love taking long walks from our apartment in North Beach to Chrissy Field along the water with spectacular views of the Golden Gate Bridge. No matter what the weather is like - fog rolling in over the bridge, a sunset behind the bridge highlighting the orange color of the bridge, sailboats and container ships sailing under the bridge - the bridge is always romantic, beautiful, inspiring. I can see why the Golden Gate is considered one of the most iconic structures in the world. Living around the Bridge has given me opportunity to think often of the spiritual dimensions of it on a metaphorical level. In my last post, I mentioned the first two spiritual lessons. Here are the final two. Third, the safety record during those four years of construction was remarkable, thanks to the safety net installed under the bridge floor. Imagine how those 19 men and their families felt when they were saved by that net - proud to belong to the "Half Way to Hell Club." Developing meaningful spirituality requires putting a "safety net" into place, as well. We need support structures in our lives to keep us on the journey. I'm reminded of psychiatrist Paul Tournier's statement: "There are two things in life we can't do alone: one, be married, and two, be spiritual." Spirituality is by nature a relational experience. It's not something you can simply think or act or feel your way into by yourself. We are designed to grow best in an environment of meaningful, supportive relationships with others. For this reason, engaging with frequency in a positive, encouraging spiritual community is vital to our spiritual growth life. None of us feels strong and effective all the time. We have our falls from the scaffolding for whatever reasons. We have those times when we simply don't feel like we're making it, or we feel discouraged and despair sets in, or we make choices or others make them for us that end up collapsing our worlds down around us. We need that safety net. We need those other people around us who will hang on to us, who will encourage us and embrace us no matter what, who will stand beside us and help us to keep the journey going. Of the eleven men killed from falls during construction, ten were killed (when the bridge was near completion) when the net failed under the stress of a scaffold that had fallen. I'm a member of the Half Way to Hell Club. And I can tell you, those people in my life who surrounded me as a safety net were beyond helpful in keeping me going and helping me to see a future, and assisting in keeping my eyes on a God who loves me and refuses to give up on me. What will it take for you to develop that support in your life if you don't already have it? If you do have it, are you utilizing it as much as you could for your personal spiritual development? And finally, no important endeavor is without obstacles. The engineers and architects of the Golden Gate certainly faced their share, all the way from having to deal with the fierce elements of nature in the Bay area to the politics at the White House. But thanks to the courage and collaboration between all the players involved, combined with determined persistence and patience, the bridge was moved from dream to reality, becoming the most photographed bridge in the world. The very nature of spirituality is messy and chaotic. Life is never a simple straightforward journey. We have to learn and relearn lessons along the way. We have to regularly manage expectations, making sure we're basing them on reality and truth. We have to deal with obstacles and challenges if we want to grow healthy spiritual lives. I just got off the phone from visiting with a woman who was worried she was losing her spirituality. She's grieving over the death of her husband a year ago. She's angry with God for allowing him to die in spite of her sincere prayers, for taking the one person in her life who encouraged the most meaningful spirituality she'd ever had to that point. She's struggling with all her beliefs, trying to make any sense of them in the light of her present realities. She doesn't want to go to church or pray or read scripture. And with all this chaos, she's afraid she's going to hell. Life is messy. Unpredictable. So interwoven with everything. Our emotions, our thoughts, our beliefs, our relationships, our life experiences - all of them impact every one of those areas. We're constantly challenged as we try to navigate our way through. How do we bring alignment in the midst of chaos? How do we bring alignment to beliefs and behaviors when our beliefs are under repair or renovation or our behaviors are prompted by confusion? The Golden Gate bridge was built and completed, in spite of huge obstacles and seemingly impossible challenges, because a large team of dedicated and skilled individuals were willing to collaborate, to share their knowledge and expertise, to allow their individual weaknesses to be compensated for by others' strengths, to include many people's contributions. In fact, the Golden Gate Bridge and Highway District, incorporated in 1928 as the official entity to design, construct, and finance the Golden Gate Bridge, after the Wall Street Crash of 1929, was unable to raise the construction funds. So it lobbied and won approval for a $38 million bond measure. But the District was unable to sell the bonds ... until 1932, when Amadeo Giannini, the founder of San Francisco–based Bank of America, agreed on behalf of his bank to buy the entire issue in order to help the local economy. Spirituality is, believe it or not, a group process. Obstacles are best faced together. It takes "a village," as it were, to build h ealthy lives. We cannot do it alone. Just like the Golden Gate bridge. And it ended up being declared one of the Wonders of the Modern World by the American Society of Civil Engineers. Spirituality IS a lot like a bridge. Perhaps we could learn some lessons from the Golden Gate. 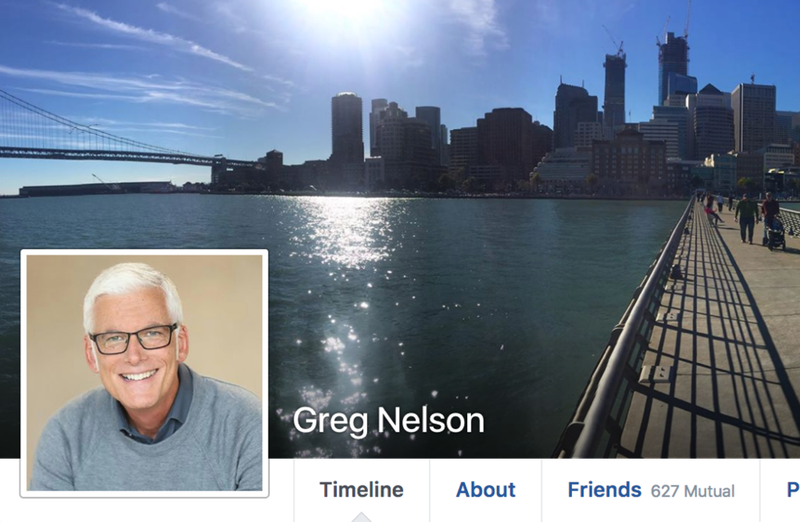 Greg Nelson is a speaker, coach, and author of The Strategic Stop. 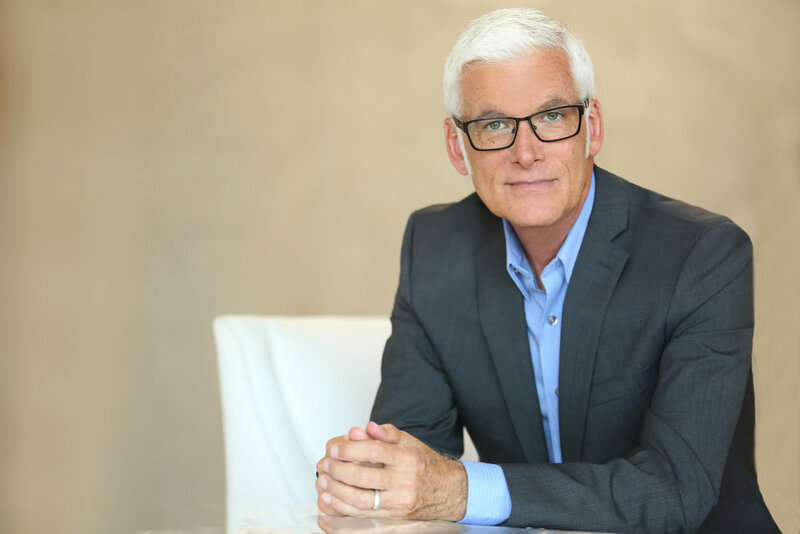 Recognized as an expert on leadership, team, and cultural transformation, he holds a doctorate in personal and organizational effectiveness. 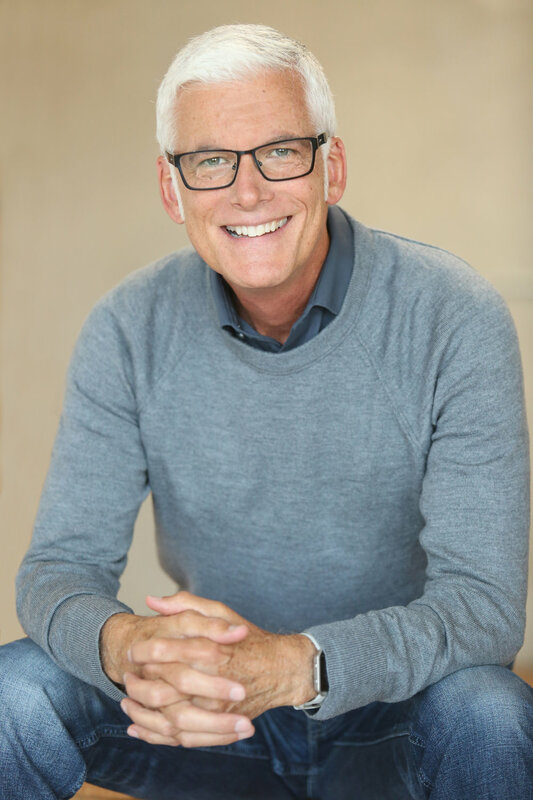 He works with high-profile companies and nonprofits, consults for church organizations, and has delivered thousands of keynote speeches to small groups and a 15,000-person audience. 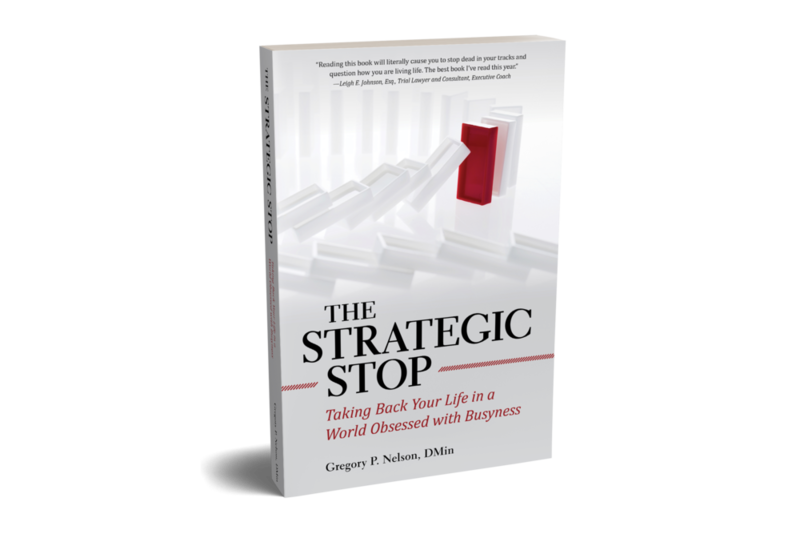 Receive the first chapter of my upcoming book The Strategic Stop for free and be added to my mailing list for updates on upcoming release! Thank you! Your free first chapter is on its way. Learn more about the book here. If you’re looking for a keynote speaker or training coach for your corporation, nonprofit, or congregation, apply for a free 30-minute consultation. I look forward to speaking with you!